There are two racing lanes set up side-by-side with as little as 10 feet (3.05m) between them. Between the lanes there is a set of drag racing lights waiting to do the count down for the start of each heat. 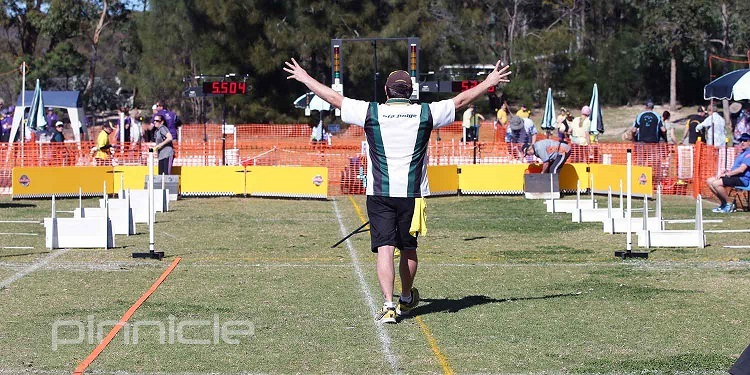 Each lane is 51 feet (15.54m) in length and consists of 4 hurdles; the first being 6 feet (1.84m) from the start/finish line and the rest at 10 foot (3.05m) intervals. The hurdle height is set 5 inches lower than the shoulder height of the smallest dog in the team (limited to a minimum of 7 inches and a maximum of 14 inches). At the end of the lane is the flyball box with a tennis ball in it. The flyball box is 15 feet from the last hurdle and requires the dog to trigger the box to release the ball. 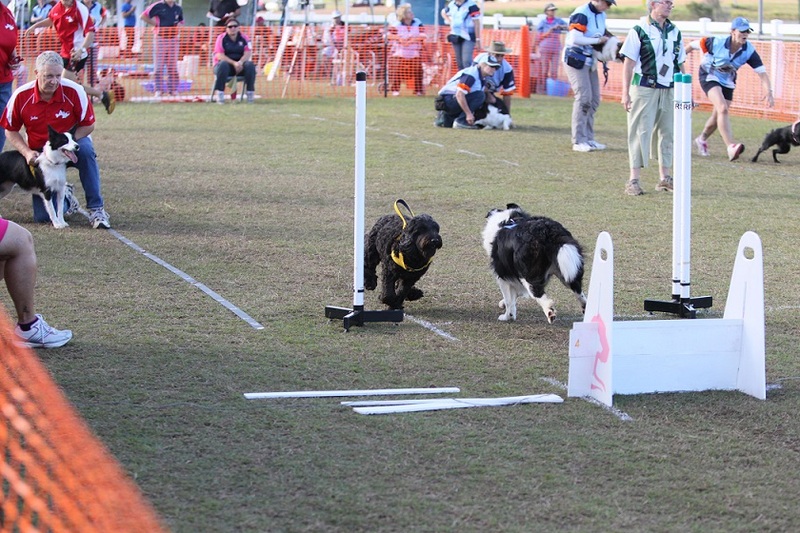 The dog then seamlessly leaps onto the box, catches the ball, turns, and continues back to the start/finish line: where their handler is usually jumping up and down, waving their arms and screaming words of encouragement. Each relay team consists of four dogs, with up to two reserve dogs that can be interchanged between heats. There can be either three or five heats in every race. When the last light turns green the dogs are off and racing (crossing the start/finish line before the light is green results in a foul). Each dog must jump the four hurdles, retrieve the ball and jump back over the hurdles to complete their lap. Missed jumps and dropped balls require the dog to rerun the course after the rest of the team has finished. As soon as the first dog’s nose returns across the start/finish line the next dog is off! The first team to have all four of their racing dogs complete their run cleanly wins the heat.